Lakeland is centrally located in the heart of Florida, which means driving to either Tampa or Orlando is a breeze. If you’re looking to explore the state’s best theme parks, Lakeland is the perfect base camp. If you’re looking to stay in Lakeland, there are plenty of attractions in town as well. History buffs and art lovers will enjoy the Polk Museum of Art, and if you love flight you don’t want to miss the annual SUN ‘n FUN fly-in. Downtown Lakeland is full of culture, from the Lake Mirror Park historic promenade to Hollis Garden, which features more than 10,000 native flowers and Florida plants. 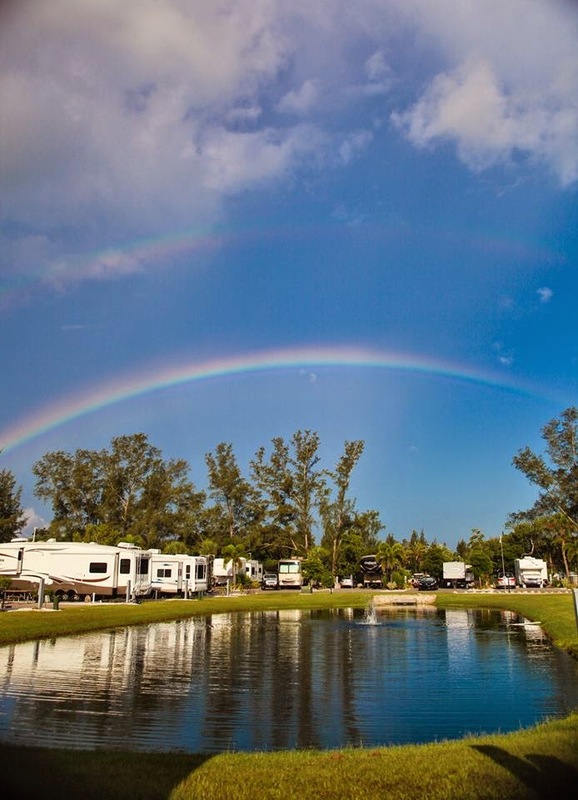 tucked away in Lakeland, features 70 RV sites with 30 and 50 AMP hookups, and can accommodate rigs up to 50 feet. 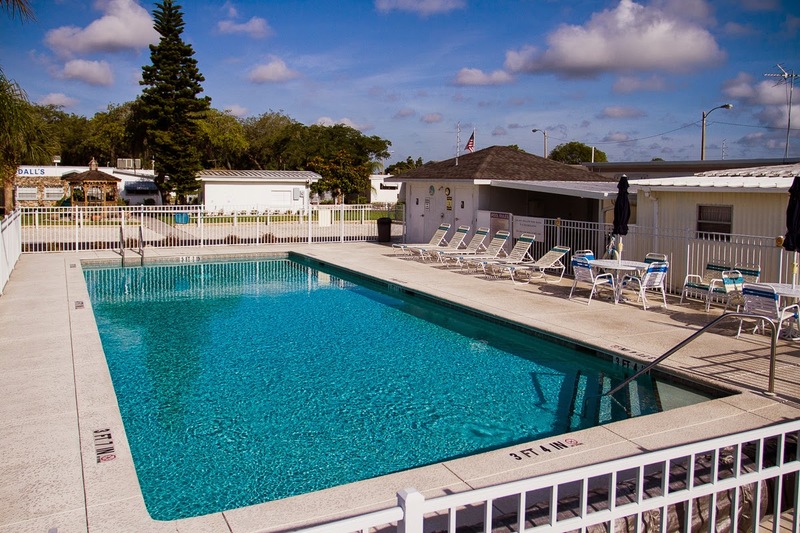 While you’re a guest at the resort, you’ll have access to wonderful amenities like Wi-Fi, cable TV, a heated pool, a clubhouse, horseshoes and a shuffleboard court. The community boasts a large shuffleboard facility, complete with a resident player’s association. They host daily shuffleboard games and leagues. 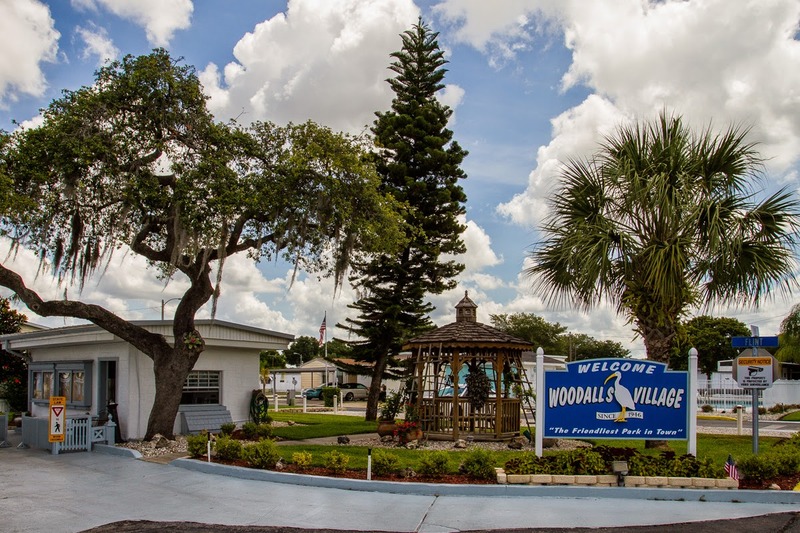 Members of Woodall’s RV community even participate in professional shuffleboard leagues that travel all over Florida. Our Friday night dances bring out our down-home roots with some live country music. Put on those cowboy boots and let’s line dance! Stars of the Opry concerts draw crowds from all over the area. If dancing isn’t your thing, you can enjoy many other events in the winter months such as bingo, karaoke, club meetings, white elephant sales, pancake breakfasts and much more. 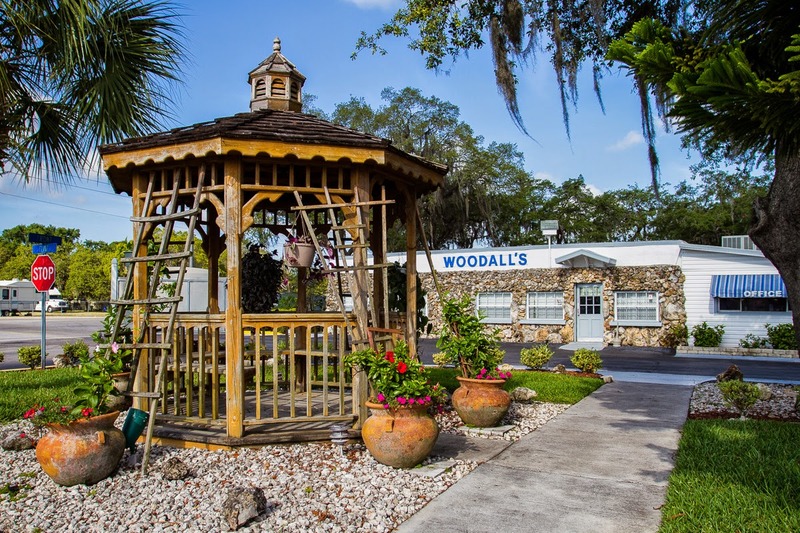 Find out how you can make reservations and become part of the friendly community at Woodall’s. Visit our website for more information at: http://www.woodallsvillage.com/. RV camping is a great way to get away for the weekend or even a month. You find yourself exploring places you've never been and meeting new people. But the greatest thing about RV camping is all the things you learn. Here are 7 things we've learned on the road. When you're driving a house on wheels, there's no doubt that life is an adventure. You can go anywhere and do anything. You can explore new places and learn new things. You can plan or be spontaneous, but whatever you choose to do you're just one turn from your next adventure. Some RVs are big, some RVs are small, but most are lacking storage. This teaches you an important lesson really fast. Less is more. You find a way to get by with less possessions and suddenly you are a little more free. It's surprising how quickly having just what you need feels like more than enough. Lots of people see home as a specific building in a specific city. RV campers often have homes all across America. They find places, people and things to love everywhere they go. Each new location is a new place to call home. They realize that home is about a feeling and not a structure. It's no secret that RVs use a lot of gas. There is where veteran RV campers learn to plan ahead. There are apps that tell you where the cheapest gas is along your route. That might mean gassing up before you'd normally need to so you can save a few bucks. You can estimate the number of miles you're going and see where you'd likely need gas so can even know when to stop. Isn't planning ahead fun? The first thing most RV campers do is set up their outside living space. This can mean lights, cooking gear, seats and more! It's a great way to get creative with the outdoor area you're given. It helps you meet neighbors, get in touch with nature and enjoy a little time outside the RV. Many people have signs with their names they place up too, which can be a great way to start a conversation with the people around you.